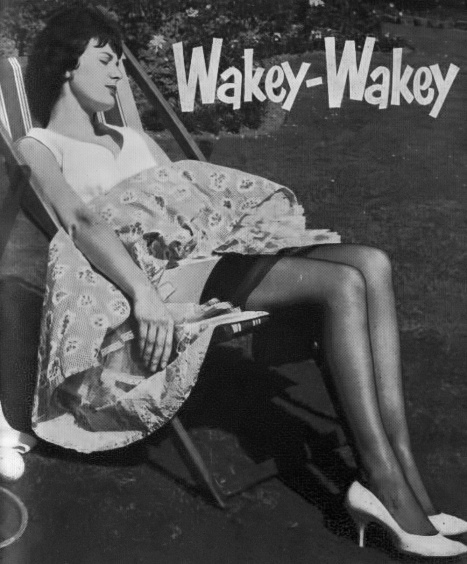 Dover girl JANE NEMAN was doing nothing except getting a tan while she slept on a deckchair in the sun. Jane a window-dresser, deserves better than a deckchair. Deckchairs are apt to be indiscriminate in their choice of victims. And before anyone could say “Hands, knees and boomps-a-daisy” poor Jane got the boomps and not the daisy. Well, at least it makes a pretty picture of Jane’s frills.